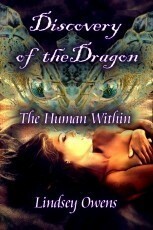 Discovery of the Dragon - The human within. Long before the McBride clan walked on two legs, they had been discovered and enslaved by the people of Florence Isles. The fate of the dragons lie within their young blood. When a young rare dragon, seems to fall in love with a young man, Teagan, the world they both know soon changes. will they be torn apart forever?